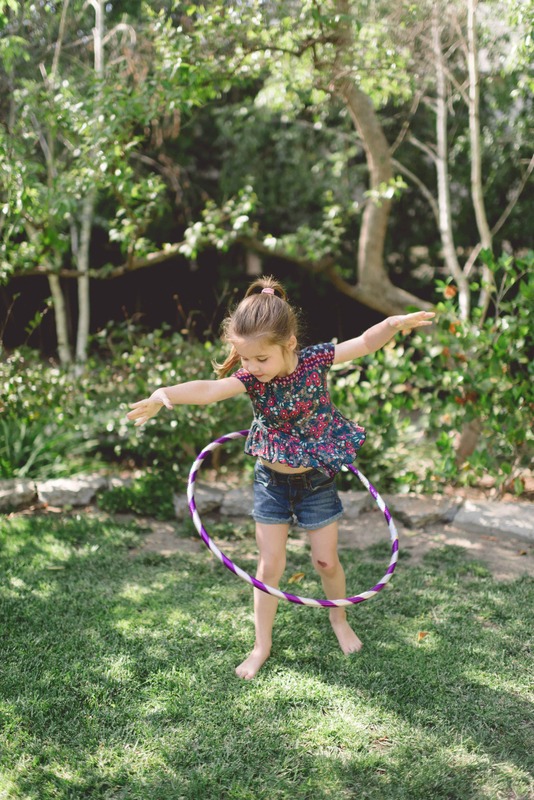 For almost 60 years, kids and adults have been twirling, whirling and circling plastic hoops around their waists to see how long they can keep the ring from falling to the ground. 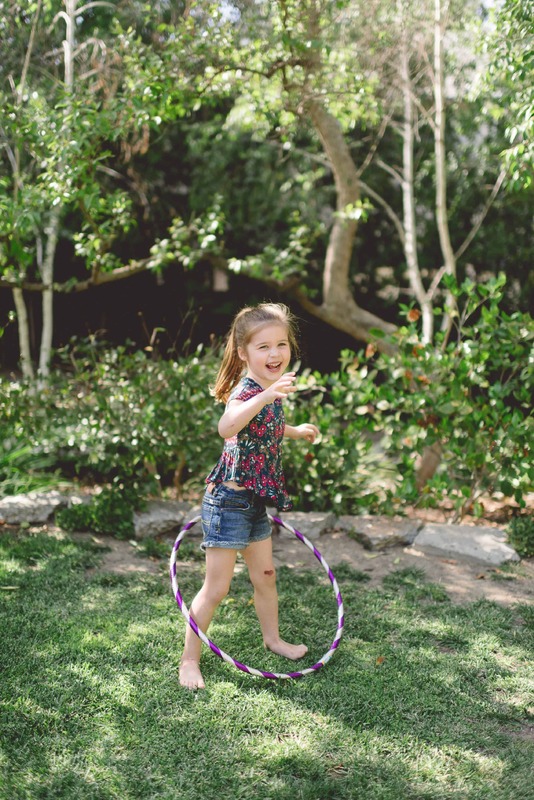 Recently, our daughter joined in the hula “hoopla” and found the same fun, entertainment and challenge that generations have enjoyed since the Hula Hoop was introduced and popularized in America in the late 50’s. The name hula was used because sailors would say people used their hips to rotate the circle hoop like Hawaiian hula dancers. My backyard isn’t a black sand beach or tropical island, but that doesn’t stop Harper from grabbing her bright purple hula hoop, heading outside in her bare feet to some soft green grass, and starting the twirling ritual to see how long she can keep that plastic circle going around her tiny waist and hips. Watching her reminds me of one of my favorite childhood pastimes. Circles you know, represent infinity, and the lack of endings – a never ending cycle so to speak. I couldn’t think of a better way to describe the never ending fun this simple circle has given to generations past, present and those to come. 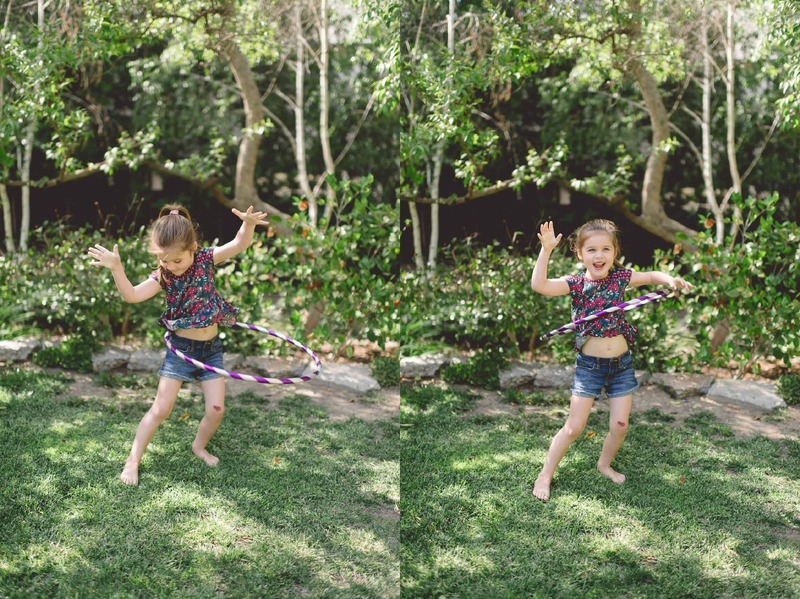 Long live the hula hoop! Such cute pics!! I used to have fun with the hula hoop to!! Oh I have spent many hours doing this as a child. Loved mu hula hoop!! So cute. It was always one of my favorites as a child. It is nice to see kids having fun outside without something electronic. It is also a great way to stay in shape as an adult.